Walt Disney Animation Studios dominated the Academy Award for best animated feature for several years. But it is still worth the wait of the new animated movies distributed by not only Disney Pixar and Marvel, but also Dreamworks, Paramount, and the others. If you are the one craving for more animated films to feed your kids, below is a list of the latest animated feature films to hope for, as well as the guide to backup these DVD with the best DVD ripper. MacX Video Converter Pro - Free download any videos or movies from YouTube or other 300+ sites for offline smooth playback. MacX MediaTrans - No.1 fast to transfer videos, movies and TV shows from computer to iPhone iPad without any format issues. What is the most interesting animated new movie release on DVD in 2016? 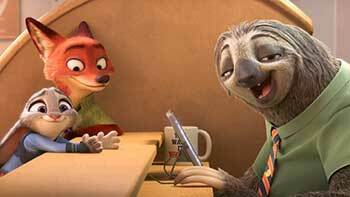 The answer of course goes to the box office movie - Disney Zootopia. Pocketing up to 1.024 billion USD box office, this Disney 2016 computer-animated comedy film also reaches 40 million in domestic DVD sales. From the sale datas you can see how popular it is. You can choose to watch Disney DVD Zootopia on PC or Android iOS using a DVD ripper or rent a digital version at your willing. Cinderela, Snow White, Sleeping Beauty, the famous fairy tales are all filmed into animated movies. Now, it's the turn for another fairy tale - Beauty and the Beast. Walt Disney plans to turn Beauty and the Beast into a live action adventure, seriously. Will this 2017 Disney movie be infused with something different from its original story? Do you anticipate the Beauty Belle with Emma Watson starring? Well, after you watch this top Disney movie and you will give your precious score to it. 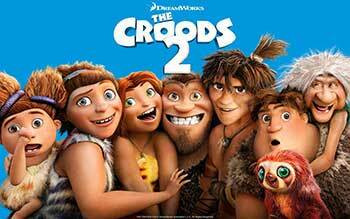 Good news for The Croods fans that in 2017 you eventually wait The Croods sequel The Croods 2, with voice from Emma Stone, Ryan Reynolds, Nicolas Cage and more. Still, this time, the caveman family comes back to their old shenanigans in a dangerous, strange new world. What fantastic journey they will meet and funny stories will happen among their family? Let's wait the 2017 summer's arrival. If you want to dig further and get more information about the movies regarding to animation or cartoon. Here is the overview of top animation movies 2016 list to entertain your kids and family. 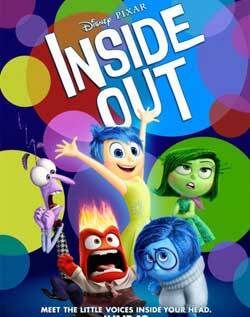 2015 is shaping up to be a monumental year for not only best Hollywood movies, but also new animation films, including the most anticipated Inside Out, Minions and The Good Dinosaur. Check out the best new animated features to hit the theatre in 2015. Do you remember Charlie Brown and his best friend Snoopy? If so, just take a look at the Peanut Movie. 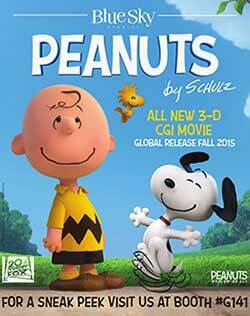 This 2015 CG-Animated Feature film in 3D comes out just in time for the 65th anniversary of the original comic strip and the 50th anniversary A Charlie Brown Christmas Special and depicts a story that Snoopy embarks upon his greatest mission as he and his team take to the skies to pursue their arch-nemesis, while his best pal Charlie Brown begins his own epic quest back home. 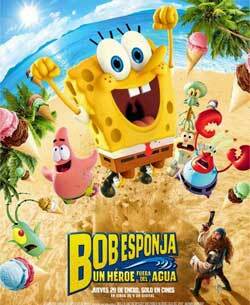 If you are the one missing out The SpongeBob SquarePants Movie, you can get entertained with this sequel to the 2014 new Hollywood movies adaptation of the TV series. The main character in this new animated movie is SpongeBob who teams up with his nemesis Plankton to get back the secret Krabby Patty formula. 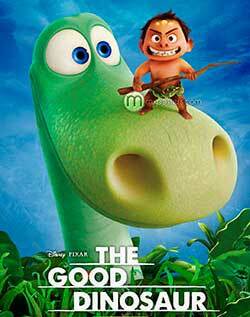 Another upcoming computer-animated comedy movie 2015 from Pixar Animation Studio is long-anticipated The Good Dinosaur that is about a lively Apatosaurus named Arlo setting out on a marvelous journey with a human boy named Spot along the way. In fact, the upcoming Disney movies is perhaps the most troubled animated film to date that has been in development for over 5 years. But rather than disappointment, we are happier and more optimist about the details Pixar will bring to us. So we join this one into the list of best new animated movies 2015 without hesitation. Pixar fans are happy to see that there are two animated kids movies on DVD released in 2015. The first is just Inside Out. It joins the list of best new computer-animated fantasy film 2015 as it comes from the director of Up, one of the best Oscar awarded movies, focusing about a young girl named Riley struggling with his conflicting emotions. Our beloved little yellow guys are back in 2015! 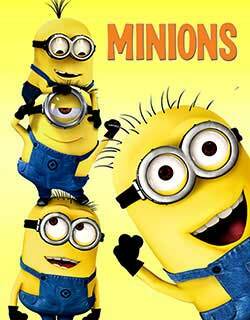 After the stunning success of Despicable Me 2, its animated franchise Universal goes into overdrive to create a spin-off computer-animated comedy film for the cute Minions. Voiced by a lot of talented actors including Sandra Bullock and Jon Hamn, this film in the animation genre will for sure bring a lot laughs and is a perfect new animated movie for kids in 2015. You can appreciate the new teaser trailers on YouTube beforehand. While you are waiting for the theatre release of these blockbusters as well as the upcoming animation features coming in 2017, collecting some classics to keep your kids entertained may come up your mind. Here the top 10 best animated movies on DVD of all time are shared to you. For those users who collect hundreds or thousands of animated DVD discs, do you feel the boatload of DVD discs capture too much room space? Even wrose, your precious animated DVD discs are wrapped with dust, which might result in the inability of normal DVD playback. 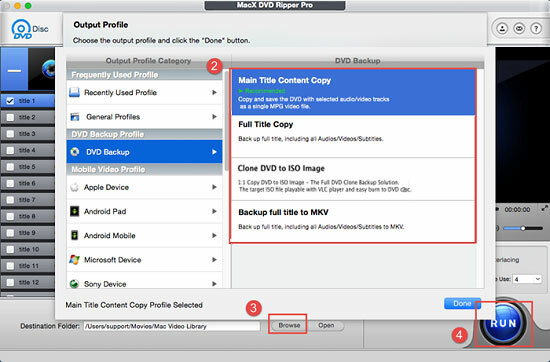 To sovle such problems, you're suggested to consider to resort to the world-class MacX DVD Ripper Pro to copy animated DVD to hard drive, computer, USB drive, or rip DVD to MPEG-2 format, ISO image, MP4, MKV, MOV, AVI, AVCHD, FLV, WMV, etc. And you're also able to transfer animated DVD moveis to iPhone 7/Plus/6s/6 plus, iPad Pro/mini 4, Galaxy S7/Note series, Android devices for on-the-move playback, no matter your animated DVD copyright protected by Disney DRM X-project, Sony ARccOS, or Region Code, CSS, RCE, UOPs, etc. Step 1: Load the animated movie DVD or DVD Folder and launch the best animation movie DVD ripper. Click "DVD Disc" button to import the DVD movie. Alternatively, you can also load DVD folder by clicking "Path" button. Step 2: Choose the Output Video Format. With 300+ preset profiles loaded, you are at your disposable to choose the video format or device profile with highest possible quality and 83X faster speed. Step 4: Start ripping DVD of animation by hitting the "RUN" button. What Disney animations 2017 will be released? This article shares a list of Disney movies in animation genre 2016 - 2017 as well as downloading and ripping tips for both upcoming movies and Walt Disney animated classics. There are plenty of animated DVD movies 2015 - 2016. Here we listed some new animation films on DVD 2017, 2016, 2015, DVD movies with animated feature and 10 best animation DVD movies for kids of all time to enjoy with your kids and family. Here str some new animated movies on DVD 2018 DVD movies with animated feature and 10 best animation DVD movies for kids of all time for you to enjoy with your kids and family. Best MacX DVD Ripper Pro allows you to freely rip and convert any new copy-protected animated DVDs to ISO image, MPEG2, MP4, MOV, AVI and MKV and adjust output movie parameter settings, movie editing (length, subtitles, rotation, etc. ).